A slippery marketing operation that lied about its ability to reduce consumer credit card debt has been banned from the business under a settlement with the Federal Trade Commission. As part of a continuing crackdown on scams targeting consumers in dire financial straits, the FTC accused the defendants of falsely claiming they could save consumers thousands of dollars by reducing their credit card debt. In reality, the defendants hooked debt-laden consumers through misleading advertising and then sold their names to debt-relief operations.According to the FTC's complaint, the operation, which did business under the names 800 Credit Card Debt and Debt.com, deceptively claimed they would quickly eliminate or reduce consumers' debts and put a stop to harassing calls from debt collectors. In a nationwide ad campaign that featured phony testimonials from people posing as customers, the defendants used statements such as, "We're 800 Credit Card Debt, America's leader in helping settle debt . . . [W]e have programs available to help you eliminate your debt by up to 60%." "The following is a public announcement ... Americans who are behind on their credit card payments must take action immediately. If YOU have ten thousand dollars or more in credit card debt, a new relief program is now available ..."
In fact, those claims were false, no debt settlement services whatsoever were provided, according to the FTC's complaint. Instead, the defendants sold the sales leads generated by their ads to debt-settlement providers, or to other lead generators or lead brokers that re-sold them. The complaint also alleges that the defendants had no information about whether the companies that bought the leads could fulfill the promises the defendants made in their ads. In addition, because many of their sales leads were sold to other lead generators and lead brokers, the defendants typically didn't even know the identity of the debt-settlement providers that purchased the leads. The defendants are Debt.com Marketing, LLC; Media Choice, LLC; 800 Credit Card Debt, LLC; and Stephen Todd Cook. The settlement order imposed a $28.2 million fine that will be suspended when the defendants surrender all funds in their corporate bank accounts, as well as the proceeds from the sale of Cook's two properties in California, his real estate in the Virgin Islands, and his ownership interests in two overseas investment funds. The full amount will be due if Cook is found to have lied about his financial condition. In addition to banning the defendants from the debt relief business, the settlement order prohibits the defendants from making unsubstantiated claims about financial related products or services, or misrepresenting material facts about any product or service. The order also prohibits the defendants from disclosing or otherwise benefiting from customers' personal information, and failing to dispose of this information properly. 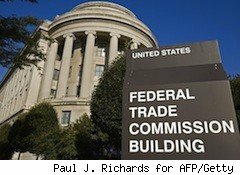 Although the FTC recently amended its Telemarketing Sales Rule, the defendants' advertisements preceded these changes, precluding any violation of the new rules. Click here for more information about settling credit card debts.